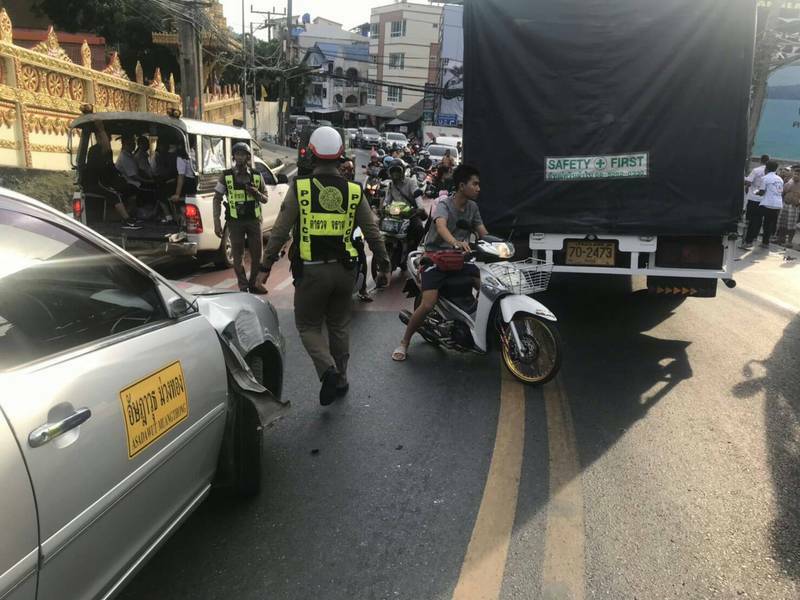 PHUKET: The driver of a runaway six-wheeled truck that struck several cars before slamming head-on into another truck in front of Wat Patong late yesterday afternoon (Jan 22) has been charged with reckless driving and operating an unsafe vehicle. 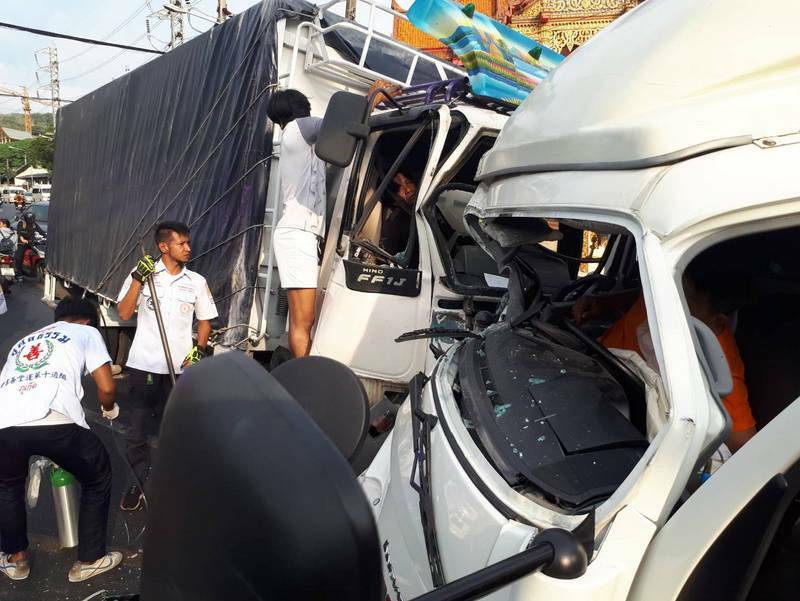 Police were called to the scene just after 5pm, and arrived to find the drivers of both trucks still pinned in the cabs of their vehicles. 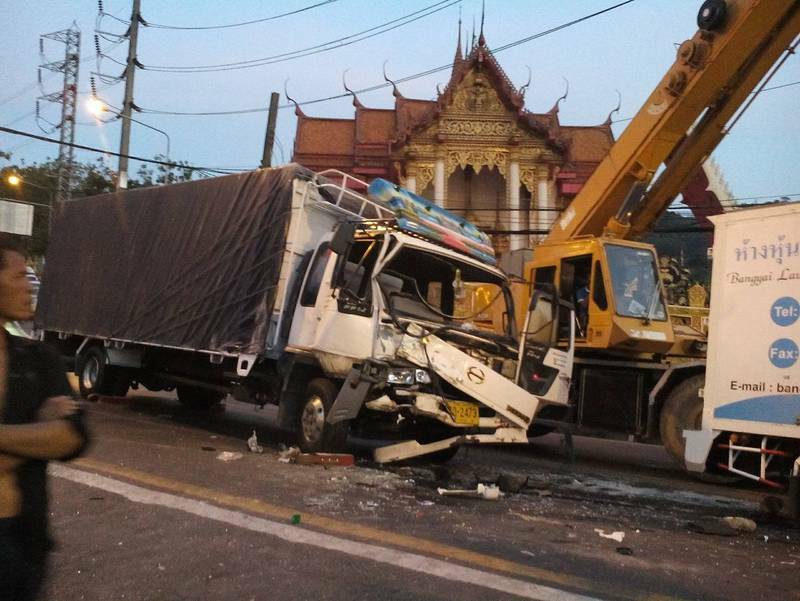 Both drivers were cut free from the wrecks and taken to Patong Hospital. 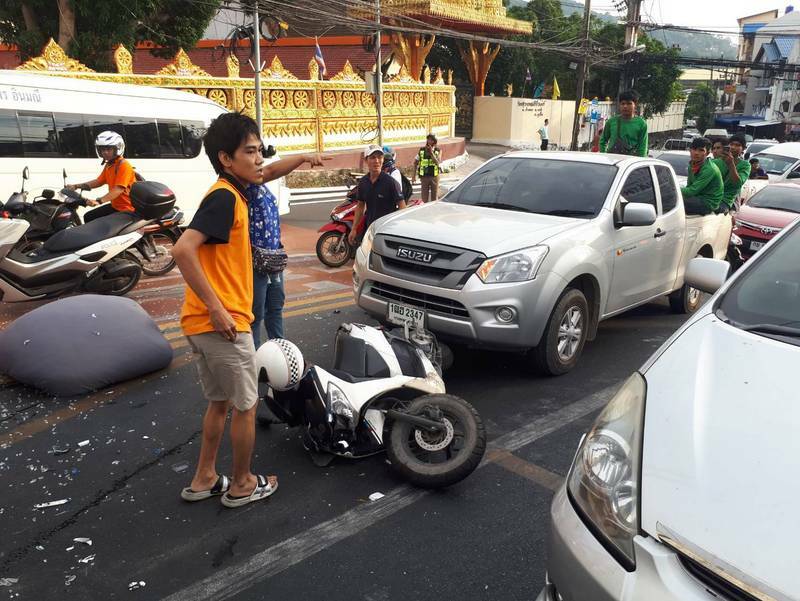 A third person injured in the vehicle melee, 17-year-old motorbike rider Inthira Yudee, was also taken to hospital. The extent of her injuries were not reported. 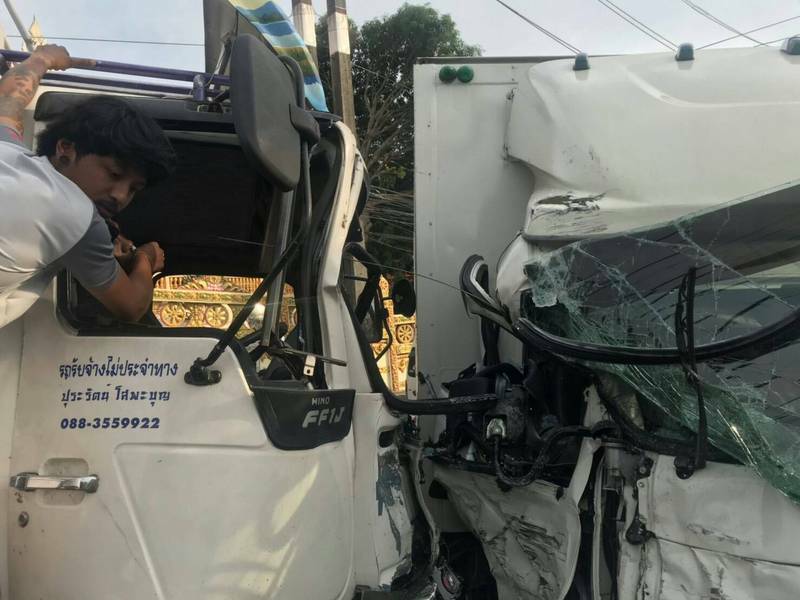 Patong Police officer Lt Chanat Hongsittichaikul and Patong Traffic Police Chief Lt Col Eakkarat Plaiduang identified the driver of the runaway truck, which was registered in Chaiyaphum province, as Boonloam Boonprom. 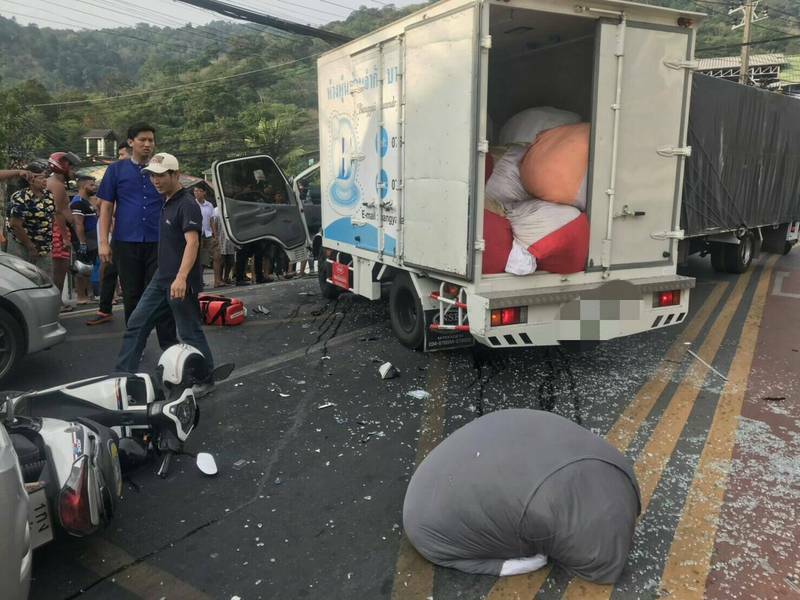 Boonloam told police that he was delivering furniture to Patong and was descending the hill when he discovered that the brakes on the truck no longer worked, Lt Chanat noted in his report. 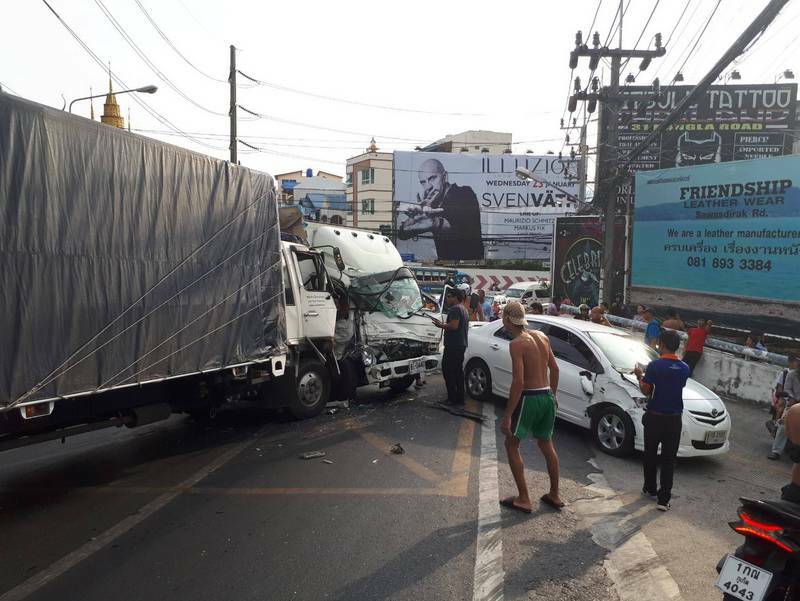 The truck collided into several vehicles before slamming head-on into another six-wheeled truck belonging to Bangyai Laundry Limited Partnership, driven by Suthut Aompana. Lt Chanat reported Mr Suthut’s injuries as “serious”. 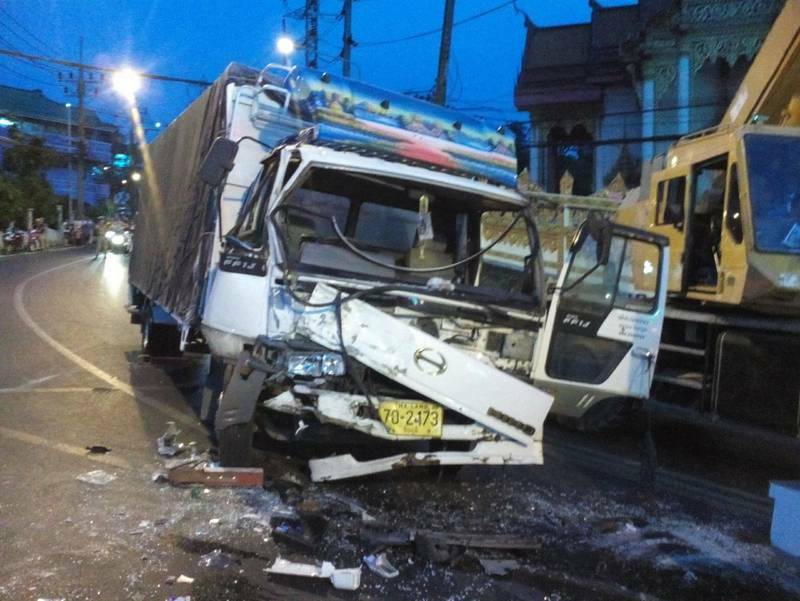 In addition to the three people injured – Boonloam, Mr Suthut and Miss Inthira – Lt Chanat reported six vehicles in total as damaged in the incident: the two trucks, the Honda motorbike Miss Inthira was riding, a Phuket-registered Toyota Vios, a black Toyota pickup and a Toyota Camry. 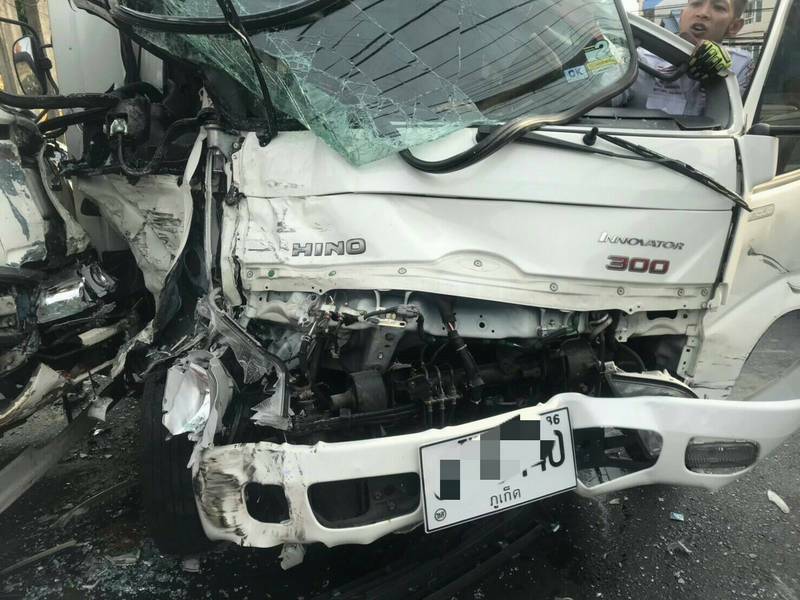 Lt Chanat confirmed that Boonloam was charged with reckless driving causing injury and reckless driving causing property damage, and operating a vehicle unfit for use on public roads. However, Lt Chanat also noted that police will continue their investigation and compile any CCTV footage available as evidence for further possible legal action. Ah. 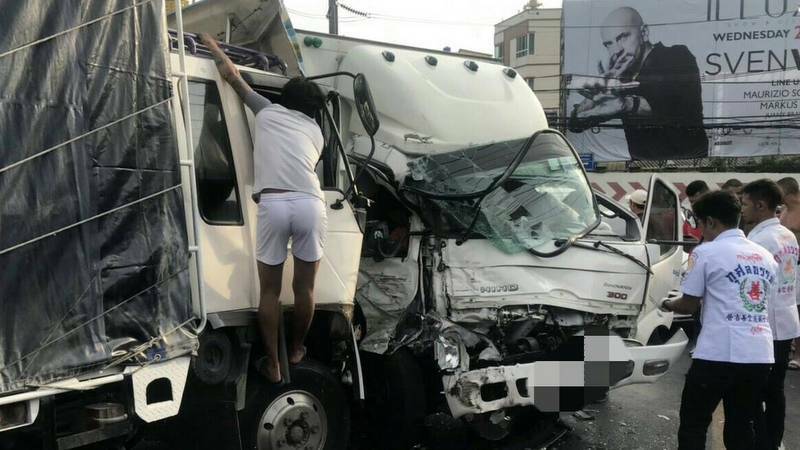 Brake failure is it? Sure there wasn't a power pole jumped out in front of you? Good that someone's been charged for once. 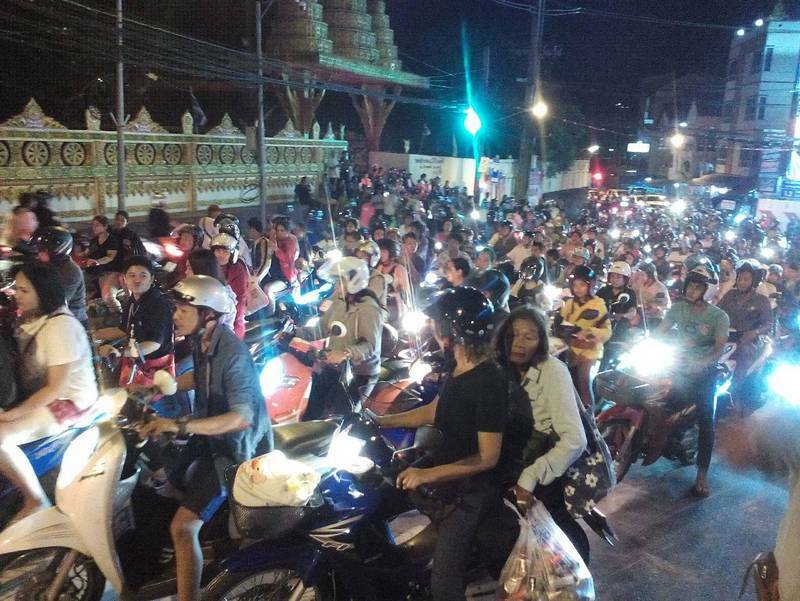 ALL these collisions (not 'accidents') are the inevitable result of negligence. Did you notice the "SAFETY ⊕ FIRST" sign at the back of the runaway truck ?